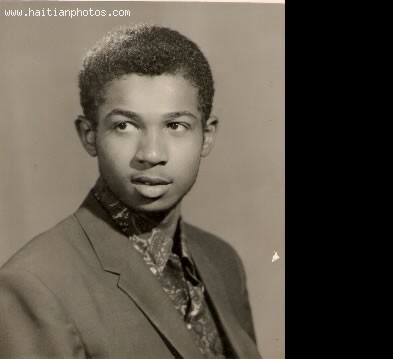 Here is a picture of the former Haitian president Dumarsais Estime. Estipme was born a very poor man in the region of Verrettes. His uncle gave him the chance to move to the capital city of Port-au-Prince where he persued his education. He became a lawyer and briefly practiced law before accepting a teaching job. 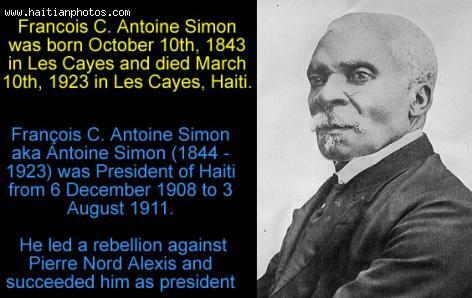 This is Haitian president Antoine Simon. On 6 December 1908, he was appointed successor to President Alexis. This president had little formal education himself but managed to put around hime some of the most qualified individuals. His advisory group consisting of influential men. Here is a picture of Sarodj Bertin Queenat the 5th edition of the beauty contest Miss Hispanoamericana 2012. This ceremony took place in the city of Santa Cruz de la Sierra in Bolivia. 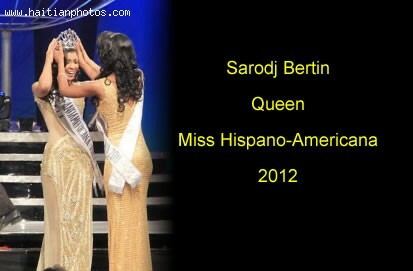 At the event, the beautiful Haitian Sarodj Bertin who is 26 was crowned Queen Hispanoamericana 2012 . Daniel Supplice empathized on the importance of the flag since it was what he claimed to show how much united the country was such that it is what all historians even those who disagree on the date of its creation align themselves to and that it is the only reason why the country has been able to withstand all those difficult moments without it falling apart. 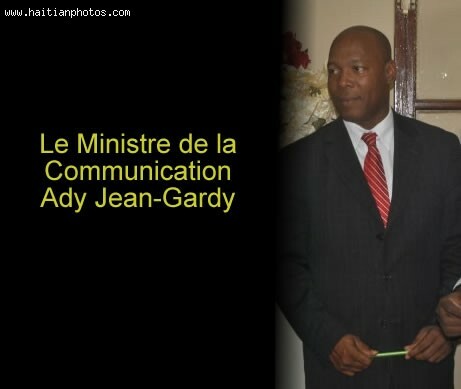 Here is a photo of Ady Jean Gardy Biography. is the name behind the revitalized Haitian media world. 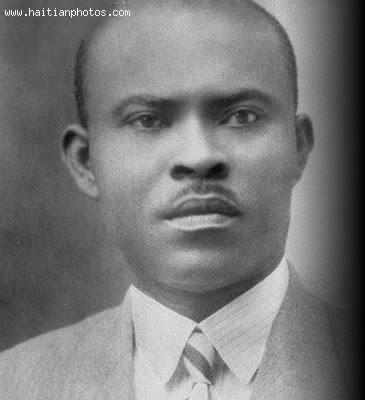 His great contribution to the Haitian median started at the age of 12 with his first write-up in the Creloe newspaper Good new . At the age of 14 Ady Jean Gardy became the cultural affairs editor. For his exceptional hold on writing Ady Jean Gardy was awarded the scholarship to continue his learning in the field of communication and Journalism. 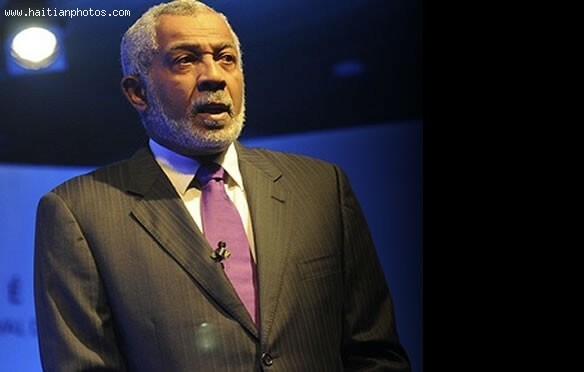 He is a learned of Economics, Political Science, Management, History, Fine Arts and various other streams. A team of celebrity in several fields to get together to help in the reconstruction in Haiti. Former U.S. President, along with star Ben Stiller, and super-gallerist David Zwirner are teaming up in September to co-chairing a Fund raising event to benefit reconstruction in Haiti. Guests of the Fund raising event that will be held in September by Bill Clinton, Ben Stiller and David Zwirner will be able to buy work of several famous artists some of which include Adel Abdessemed, Francis Al s, Mamma Andersson, Marlene Dumas, Chris Ofili, Raymond Pettibon, and Luc Tuymans. There is very little on the biography of the minister having no information on Daniel Supplice recorded in any of the many online sites and as such should anyone have anything on him worth noting it would a pleasure if they would post it here for the survival of history. 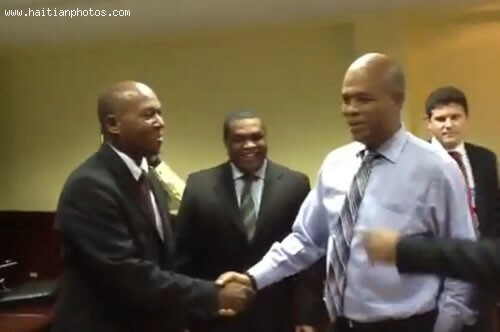 Here is a picture of Ady Jean Gardy with President Michel Martelly. In 1999 Ady Jean Gardy became the international representative and contributed his best to strengthen the international relationship. For the betterment of Haitian communication, Ady Jean Gardy started a new television network in Florida with the name Haiti World TV. The channel broadcasts information related to Haitian culture and History. 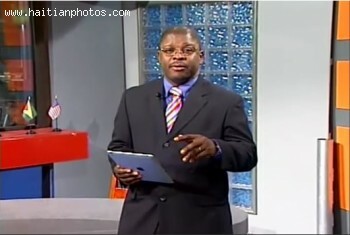 For the international recognition of Haitian media, in 2004 Ady Jean Gardy established an international center of Journalists in Washington DC. Daniel Supplice is proud of being a Haitian and would like all Haitians to be so and enjoy the benefits of being Haitians.